Drawing and card catalog entry for the two crosses. Photograph of small objects found in the Monastery burial. 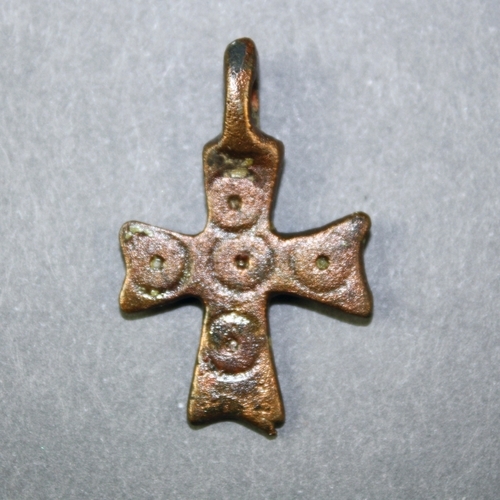 Small bronze cross with flared arms and a loop hole at top for suspension. Front features five circles with a single dot in the center of each. This cross was found along with another, slightly larger, cross of the same design. Fitzgerald, Gerald M. A Sixth Century Monastery at Beth-Shan. Philadelphia: University Museum, 1939.